Is UN Law Global Law? The first event in the City Law School’s Global Law@City Research Dialogue Series will bring together perspectives from theory, fieldwork and practice. 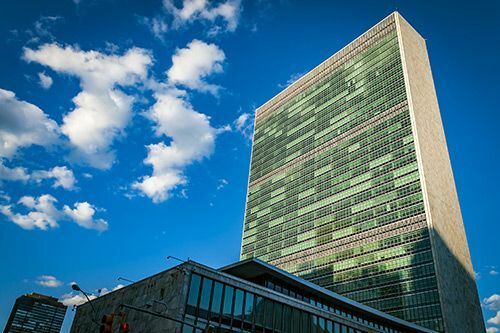 On Tuesday 9th May 2017, the City Law School will host ‘UN Law Global Law? Views from theory, fieldwork and practice’, the first event of this year’s Global Law Research Dialogue Series. Taking place in Room AG03 in the College Building, the session will explore whether or not UN Law is Global Law and the process by which practitioners and scholars of transnational law reflect on the attempts of UN experts to make sense of notions of local and global legal accountability and responsibility. It will also examine the role of law in the global legal order in the case of one of the most difficult humanitarian crises of all times. 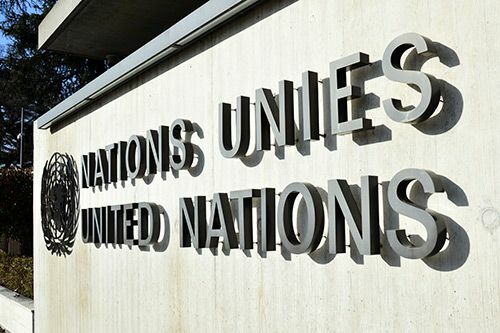 The session will take a close look at UN operations in Haiti: ‘The Law of the UN as Global Law: The Haiti Case Study’. Speakers at the session will be Professor Rosa Freedman, Inaugural Chair of Law, Conflict and Global Development, University of Reading and Dr Devika Hovell, Associate Professor in Public International Law, London School of Economics. Chaired by City Law School Lecturer, Dr Ioannis Kalpouzos, discussants are Dr Elaine Fahey, Reader in Law and Associate Dean (City Law School) and Senior Lecturer, Nikki Walsh, (City Law School). Global Law@City is an interdisciplinary research series which takes places annually in the Spring/Summer semester at City Law School. The seminars, dialogues, book talks and conferences have a broad mix of speakers approaching the idea of law beyond the State, from a variety of perspectives and approaches. Global Law@City is additionally run as a collaboration between the Institute for International Law and Global Affairs and the Institute for the Study of European Law (ISEL). This year’s Global Law Research Dialogue Series focusses upon a diversity of questions and themes but still has its ultimate goal is to focus upon methodology as to law beyond the Nation State. From human rights to globalisation to speech and Brexit. It draws together an array of scholars from public and private law, governance, science and technology, political economy and practice to reflect upon our understanding of law beyond the Nation State. All events are free and open to the public and feature a diversity of guests and City scholars. For more information and to register, free of charge, please visit this weblink. For more events in the Global Law@City series, please visit this page. Political economy is the study of production and trade and their links with custom, government and law. It is the study and use of how economic theory and methods influence and develop different social and economic systems, such as capitalism, socialism and communism, and it analyzes how public policy is created and implemented.